Students," Virginia Social Science Journal 42 (2007): 32-48. “Maximilian, Emperor of Mexico,” “Napoleon III,” and “U.S. Civil War and Latin America,” Encyclopedia of U.S.-Latin American Relations, ed. Thomas Leonard, (Congressional Quarterly Press, forthcoming). “Robert Patterson,” U.S. Civilian and Military Leadership, ABC-Clio Military History Series, ed. Spencer C. Tucker, (ABC-Clio Publishers, 2008). News, VA,” The United States at War, ABC-Clio Military History Series, ed. Paul Pierpaoli, (ABC-Clio Publishers, 2007). “Ghosts of fathers of the past.” The Washington Times – weekly Civil War page. War page. July 10, 2004. Council on America’s Military Past, Hampton, Virginia, May 9-13, 2007. Students,” 2007 Virginia Forum, Richmond, Virginia, April 13-14, 2007. Newport News, Virginia, August 19, 2008. “All I have is in the South: The Triumph and Tragedy of General David E. Twiggs, CSA,” Virginia Social Science Association, Richmond, Virginia, March 31, 2007. Sean Heuvel (pronounced "Hue-vul") is a higher education professional with both administrative and teaching experience. In the administrative arena, he has experience in undergraduate admissions as well as in institutional advancement. Heuvel is currently a faculty member at Christopher Newport University, where he serves in the Department of Leadership and American Studies. He teaches introductory courses in American Studies and Leadership Studies as well as in History. Along with extensive participation on university committees and initiatives, Heuvel is also involved with study abroad programs at CNU, and has lectured at Harris Manchester College, Oxford University in England. As an active scholar and historian, Heuvel specializes in American Civil War history, leadership studies, the college presidency, and higher education history. His publication credits include scholarly works in refereed journals and encyclopedias, as well as writing intended for general audiences. 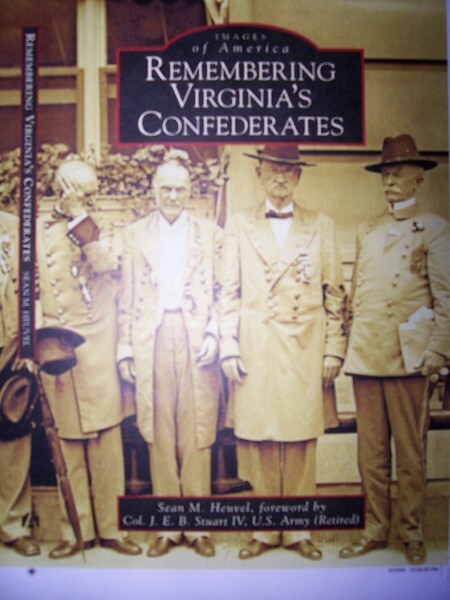 He is the author of Arcadia Publishing's "Christopher Newport University" and is currently working on his second book, "Remembering Virginia's Confederates," which is also with Arcadia. Heuvel is married to Katey Cunningham Heuvel and lives in Williamsburg, Virginia. Serve on senior staff for Commonwealth Leadership Institute, a Summer leadership studies course for rising high school seniors. Design and implement course curriculum. Recruit and train participating faculty members and guest lecturers. Teach multiple courses, grade assignments, and advise students. Maintain an active research agenda, presenting papers at professional conferences and submitting manuscripts for publication in peer-reviewed journals. Serve on university-wide faculty committees. Reviewed applications for admission and gave recruiting presentations to prospective students and parents. Traveled to various secondary schools across Virginia for recruiting purposes and represented CNU at multiple college fairs. Helped plan and execute recruiting events on and off campus. Managed student telecounseling program, supervising multiple student workers. Assisted faculty members with research projects. Provided administrative support for faculty and staff. Managed the W&M Law School’s phonathon (telephone fundraising) program, supervising about fifteen student callers. Helped manage the W&M Annual Fund’s phonathon program, which raises over $1 million per year. Assisted in planning and executing various Annual Fund meetings and events. Currently researching how colleges/universities are utilizing their former presidents in semi-official capacities for institutional advancment purposes. Advisor - Dr. Dorothy Finnegan. Masters thesis: "The Old College Goes to War: The Civil War Service of William and Mary Students, Faculty, and Alumni." Advisor - Dr. Robert Kenzer. Master's Thesis: "At the Helm: How Dr. Davis Y. Paschall and Paul S. Trible Jr. Transformed William & Mary and Christopher Newport University." Advisor - Dr. David Leslie.